The Helen dining chair is a Klismos style chair for the luxury contemporary market. Shown here with walnut legs. Klismos style chairs has been around for thousands of year. The curved legs are one of the elements of this timeless design. 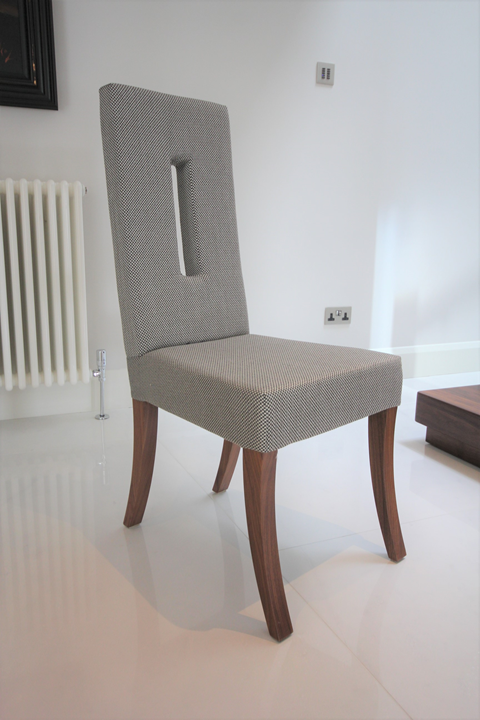 We are have chosen to reference this precedent with this design of wonderfully elegant and comfortable dining chairs. The seat and back are carefully upholstered to provide support and comfort. 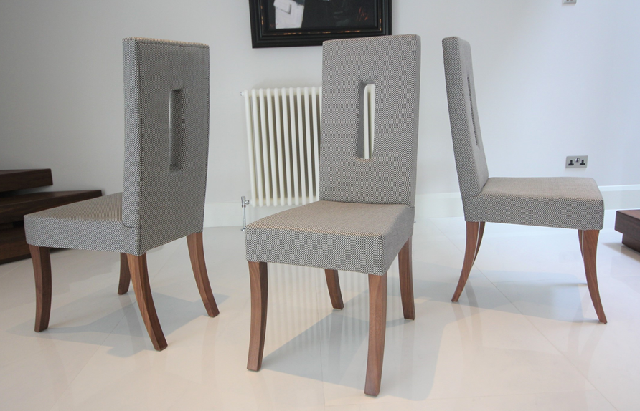 This is vital in a good dining chair – if people are still sat around the table enjoying themselves an hour after the meal has finished then that is a good endorsement of the dining chairs! The rectangular hole in the back adds to the level of comfort whilst also adding to the chairs identity. The chairs are very strong whilst being of light to medium weight.